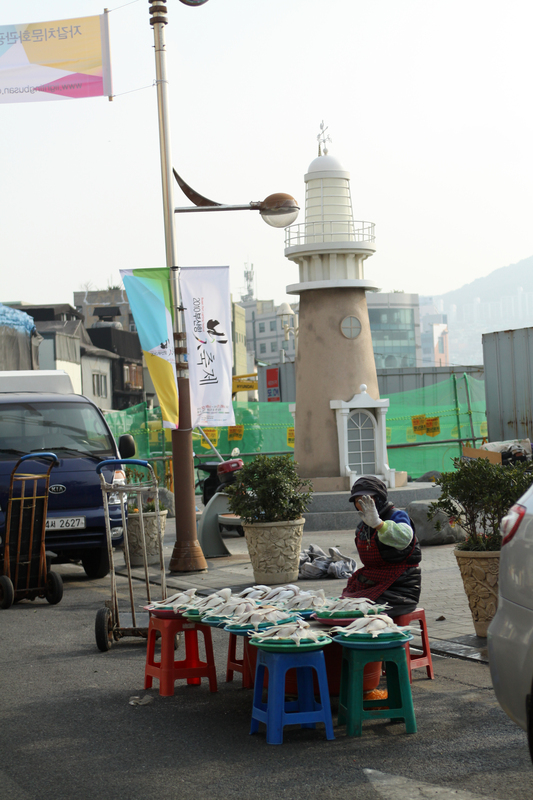 Noryangjin fish market is the most popular fish market in Seoul. It is located in Noryangjin, subway line 1 & 6, near Yeouido. 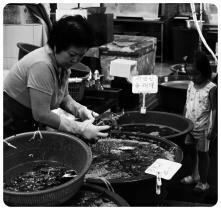 Because of the convenient location and the huge size of the market, many people visit this market to buy fish. Also comparing to other markets, you can definitely get fresh and cheap sea food here. You can just look around the market to watch many kinds of fresh sea food. Let’s go inside the market together. What do you like to eat when it rains? When I was in the Philippines, my Mom would make delicious champorado (chocolate rice porridge) orlugaw (congee or boiled rice porridge) to warm us up on a rainy day. Here in South Korea, the most famous comfort food during the rainy season is 부침개 (buchimgae) or 전 (jeon), also known as Korean pancake or Korean pizza. 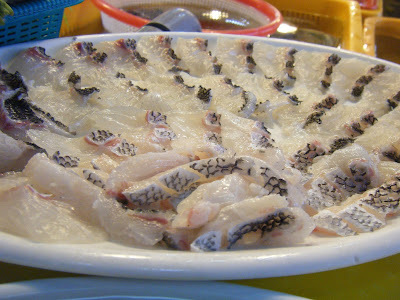 Koreans eat it with 막걸리 (makgeolli) or rice wine. 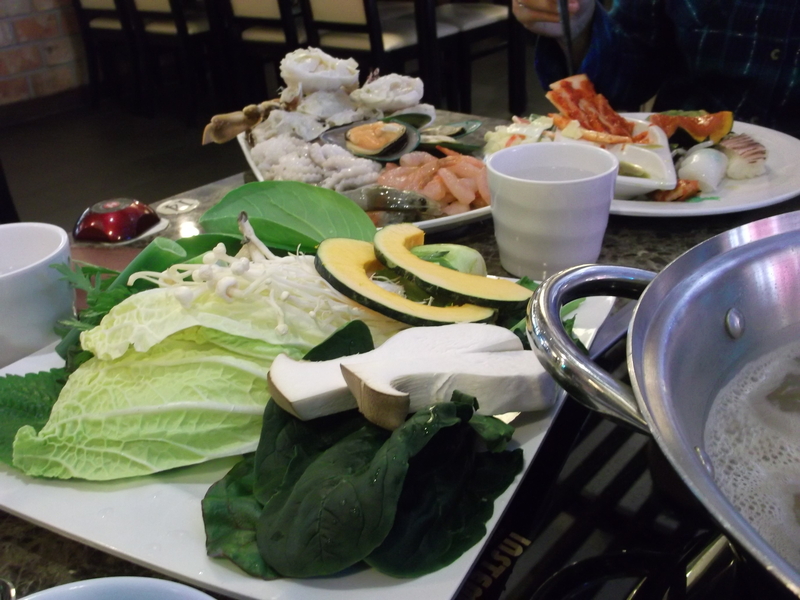 Is It Still Shabu Shabu Without the Noodle and Rice Courses? I’m not sure. Since it’s only the second time I’ve had Shabu Shabu, and the other time there were noodle and rice courses, my experiences have fallen 50/50 down the middle on having them and not. Still, whether or not Maru ShabuShabu in Nampo (on the second floor of the same building as Ashley’s, or, Old Country Buffet with Unlimited Wine) is authentic or not, it’s definitely good and plentiful. Hey, if you’re in the same building as a well-recognized buffet, you’ll need to step up your game. when it comes to being the subjects of photojournalism, there are a few kinds of koreans. My Hoe: Raw fish at Jagalchi Fish Market. I realize that this post kind of stretches the parameters of what might be considered street food, but in my defence when I started this thing I always thought I’d include markets and hawker centres in my range. Also, after eating the stuff I just couldn’t help myself! 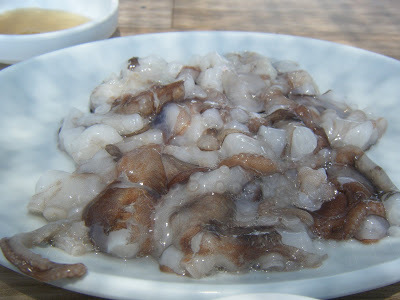 I’ve wanted to try San Nakji (live baby octopus) ever since I first heard about it, some six months before touching down in Korea. When I finally got here, I made a few attempts to search out and consume this alien delicacy, but price and scarcity defeated me too easily and I climbed up onto my laurels and rested awhile. Luckily, however, neither were an issue last weekend as a trip to Geoje Island presented the perfect opportunity to get my gums moving.